This week's Buyer's Guide has deals on the 2013/2014 Retina MacBook Pro, the 2013/2014 MacBook Air, the Mac Pro, and several Apple accessories, including iPhone 6 cases, cable organizers, and a nifty accessory that adds AirPlay to any stereo with an input. The 2014 Retina MacBook Pros are on sale for approximately $100 to $150 off the retail price from several different sites. The 2.6Ghz/8GB/128GB 13-inch Retina MacBook Pro is available for $1,199.99 from Amazon, Best Buy, and B&H Photo. The 2.6Ghz/8GB/256GB 13-inch Retina MacBook Pro is available for $1,399 from Best Buy, Adorama, B&H Photo, and MacMall. The 2.8Ghz/8GB/512GB 13-inch Retina MacBook Pro is available for $1,699.99 from Adorama, B&H Photo, and MacMall. The 15-inch 2.2Ghz/16GB/256GB Retina MacBook Pro is available for $1,899 from Adorama and the 15-inch 2.5Ghz/16GB/512GB Retina MacBook Pro is available for $2,349 from B&H Photo. There are some deals on remaining 2013 Retina MacBook Pros. The 2.4Ghz/4GB/128GB 13-inch Retina MacBook Pro is available for $1,099 from Adorama and B&H Photo. The 2.6Ghz/8GB/512GB 13-inch model is available for $1,549 from Adorama and B&H Photo. The 2.0Ghz/8GB/256GB 15-inch model is available for $1,599 Amazon, Adorama, and B&H Photo. The 2.0Ghz/16GB/512GB 15-inch model is available for $2,199 from Amazon, and Adorama. The non-Retina 13-inch MacBook Pro is also on sale for $999 from Best Buy, Adorama, and B&H Photo. Stock configurations of Apple's Mac Pro desktop computer are available at slightly discounted prices from several retailers this week. The 6-core 3.5Ghz/16GB/256GB machine can be purchased for $3,739.99 from Best Buy, Adorama, and B&H Photo, while the 4-core 3.7Ghz/12GB/256GB machine for $2,839.99 from Best Buy, Adorama, and B&H Photo. A few retailers are offering the 2014 MacBook Air for approximately $100 off and while that's not the best deal we've ever seen on the MacBook Airs, it is decent. The 11-inch 1.4Ghz/4GB/128GB MacBook Air is available for $799 from Best Buy, while the 11-inch 1.4Ghz/4GB/256GB MacBook Air is available for $999 from Best Buy, Amazon, and B&H Photo. The 13-inch 1.4Ghz/4GB/128GB MacBook Air is available for $899 from Best Buy, Amazon, and B&H Photo. 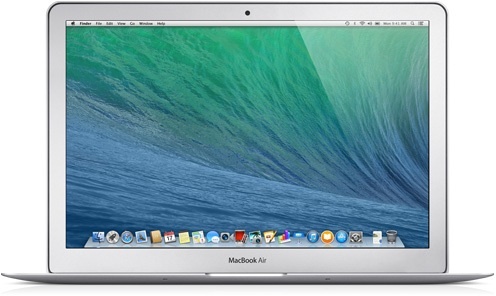 The 13-inch 1.4Ghz/4GB/256GB MacBook Air is available for $1,099 from Best Buy and B&H Photo. B&H Photo is still offering low prices on some of its remaining 2013 MacBook Air inventory. The 1.3Ghz/4GB/128GB 11-inch MacBook Air is available for $819, while the 1.3Ghz/4GB/256GB 11-inch MacBook Air is available for $889. B&H and Adorama, as always, are a good choice for buyers who live outside of New York and New Jersey, as the sites only charge sales tax in those states. Walmart is selling the 16GB Wi-Fi-only fourth-generation iPad with Retina Display for $299, a discount of $100 off its standard $399 retail price. 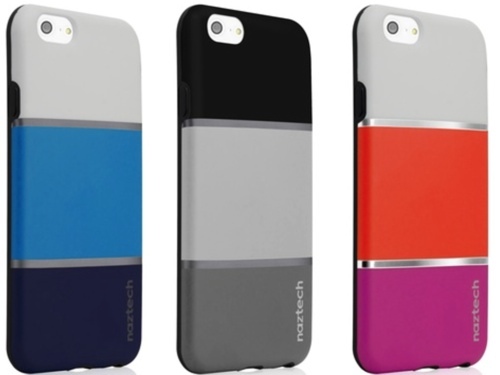 The Naztech Metro Case for the iPhone 6 is available for $17.99 from Groupon, a discount of $8. The MogoLife Protective Case for iPhone 6 or 6 Plus is available for $9.99/$11.99 from Groupon, which is 67% off the standard price. The Case Logic Rugged Slim Fabric Case for the iPhone 6/6 Plus is available from Groupon for $12.99 to $14.99, and the Star Wars iPhone 4/5/5s cases are available for $7.99 from Tanga. The iHome Helium Folio Case for iPad Air is available for $14.99 from Groupon, a discount of $15. 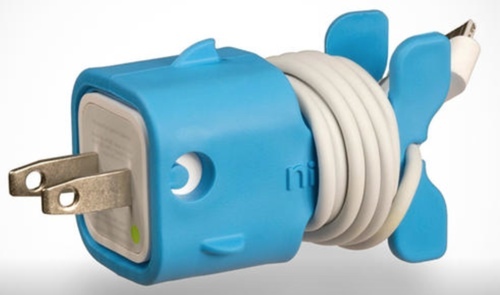 The fish-shaped Goldie CableKeep for the iPhone is available from LivingSocial for $9, a discount of $7. Previous-generation Beats by Dr. Dre Bluetooth On-Ear Headphones are available for $229 from Groupon and the Klipsch S4i Rugged In-Ear Headphones are available from Woot for $34.99. The Sabrent WiFi Audio Receiver that adds AirPlay compatibility to any speaker system is available for $22 from Amazon with coupon code WFRADU22. I believe there is an error in this Buyer's Guide article: the 13" MacBook Pro w/ Retina Display and 8GB/128GB should be $1,199 NOT $1,119. I don't have a laptop at the moment, so that 13" MacBook Pro w/ Retina Display and 8GB of RAM and a 128GB SSD is becoming very appealing. It's $1,199 at Best Buy. Combined with a $100 off student coupon (straight from Best Buy's college deals, Google it) and a 10% off Best Buy coupon from the United States Postal Service Mover's Coupon booklet, I'd only have to spend $1,078.12 total AFTER CA sales tax. Pretty good, huh!? Yes, thank you. That number was mistyped and should have been $1,199. It's been corrected now. $1,199 is pretty close to the lowest price we've seen ($1,197) so snagging it now with the Best Buy EDU discount and a coupon does sound like an excellent deal. Yeesh, those cases are ugly. I know this is an American site, but you have an international audience. How is this newsworthy? It's an American site, did you expect them to not reportAmerican sales? Seriously? That CableKeep was $16???? I thought it looked pretty clever, but even $9 seems way too high. I went into Best Buy today to pick up a 13" Macbook Air, but they refused to scan both my .edu discount ($100 off) and my USPS Mover's coupon (10% off) together. I was disappointed, but I'm sure if I stay patient and keep trying at the same and other Best Buy locations, one of the cashiers will give me the double deal.